In is important to remember that every transaction within a LETS community is taxable. Here you can read more about how that works. Technology is are friend and have made it a lot easier to administrate LETS communities. Here you can read more about how to use tech to make your life easier. 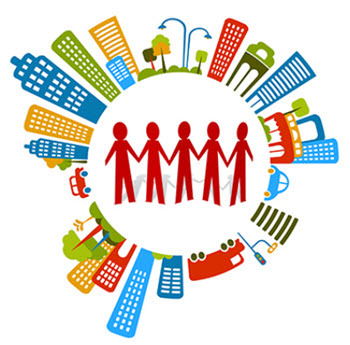 A LETS community can help revitalize the local area by allowing people to get to know each other and by increasing local commerce. A local trading exchange system can do a lot of good for your local community. It can create a community that offers more opportunities, a community where people know each other better and a community where people work together for a common good. On this page I am going to share different tips for how you can give your LETS the best possible chance of becoming a force for good in your community. This entire articles is written with villages and smaller communities in mind. If you want to setup a LETS community in a larger city than a lot of these advice will be moot. There is also often less that you can change in a larger city since amenities tend to be better and property prices higher than in rural areas. With this in mind. Lets see how you can make your local area better. It is usually a very good idea to make everyone in the community a full member of the LETS community regardless of whether they intend to be active in the LETS community or not. That way every one in the area has a vote at the meetings and there is no risk that non members feel that the LETS community is forcing unwanted change on the area. Everyone has their say and the local population can block a decision they do not want if they care enough to cats their votes. Make public announcement of all meetings and the votes that are being cast there. Allow people who can not attend to submit their votes electronically. Tax all transactions within the LETS Community but make the tax payable in labor. Keep the tax low to keep the people motivated and make sure that the labor is used to work on projects that the local community supports. An example of this might that a member might be required to work one our for the betterment of the community for every 10 hours of service they sell through the community. People will usually not mind this as long as they feel that their work does good for the community. A community that works together can achieve great things very quickly. It will only take a couple of day to build a new play ground or dog park if every one joins in and donate a day or two of labor. The actual cost of construction can be kept very low if every one works together. Make sure that you are building things that most people want. If you do not you will find it hard to gather the support you need to be able to improve the community. It is also important that you make sure that each project targets the need of a different part of the population. If all projects targets the same people then you will quickly find it very hard to get the support you need. If one project is to improve life for families children the next might target singles or dog owners. Make sure that the work of the community improves the life for every one. Make sure to always promote closer ties within the communities. A good way to do this is public parties in the area. Barbecues is usually a good alternative since every one loves a barbecue and it is easy to cook for a lot of people. Arranging classes is another good way to promote closer ties in the neighborhood while it at the same time improve the life of the people I the community. You can either use local people who share their special skills with the community or you can hire outside people to keep classes. Keep in mind that a lot of classes is over priced. Make sure to find classes that offer good value and book only them for the community. Exercise groups are a good way for people to improve their health and become better friends at the same time. © 2016 Copyright by LetsEurope.info. All rights reserved.